Tonight’s the night you’ve all been waiting for! 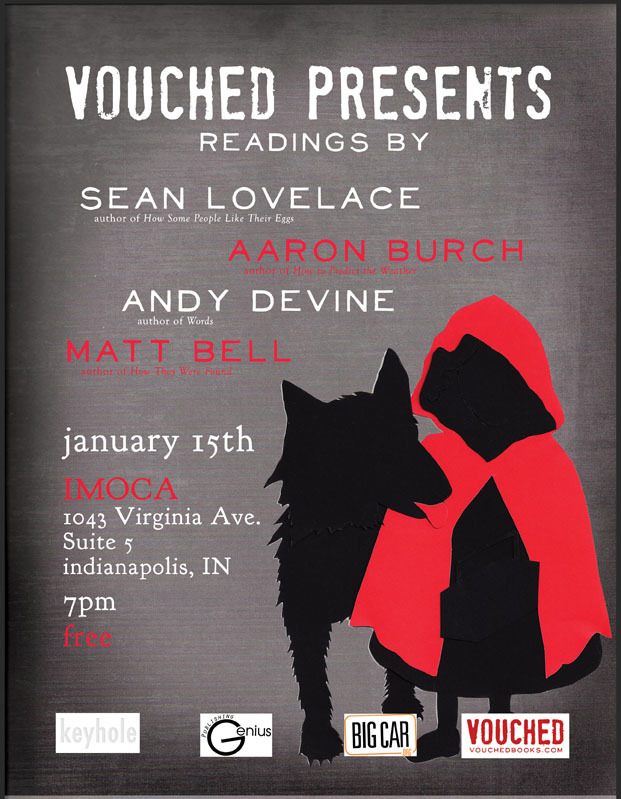 In case you haven’t heard, the reading has moved downstairs to the Indianapolis Museum of Contemporary Art, which is much easier to find. This was a really good time. I look forward to future events. Glad you enjoyed it! I’m working out the details for the next one in March.